I have been trying to find a good resource that lists all of the measures on the Harris County ballot and I haven’t been able to find one – so I put together some links I found (from lots of different parties/places) in my research if you want to do some reading before you cast your vote. There’s no agenda to this, just that I want to encourage everyone to do some research and cast your vote as you see fit! On Election Day you have to vote at your polling place (in early voting you can vote anywhere). Polls are open 7 AM to 7 PM. You do need a photo ID to vote, but that’s all. What’s On the Ballot in Houston? 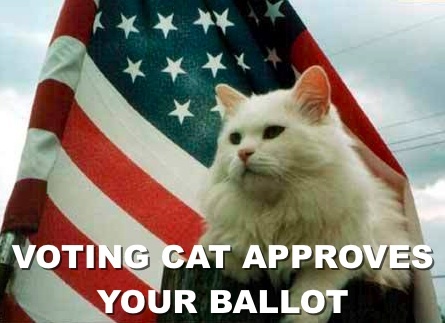 When you look up your polling place you can see a sample ballot for your exact precinct to see exactly what to expect. The Houston Mayoral race is at the top of the ballot. If no candidate gets 50% of the vote, there will be a run off of the top two candidates on December 14. 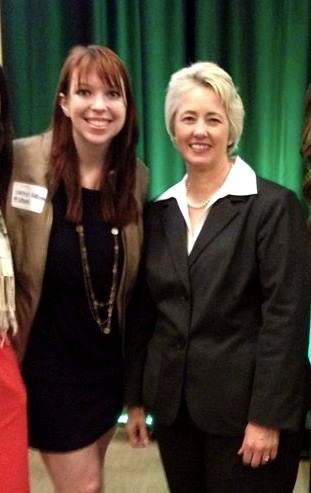 I am partial to incumbent Annise Parker (See pic at right!). For the local races, the ballot doesn’t show you which party someone is a part of next to their name. If you do plan to vote on party lines, I would recommend looking at the endorsements by your local party group ahead of time. For instance, the Harris County Young Democrats list all of their endorsements on their website. The same list should be easy to find for whatever party affiliation you subscribe to. Feel free to share any links I left out in the comments!